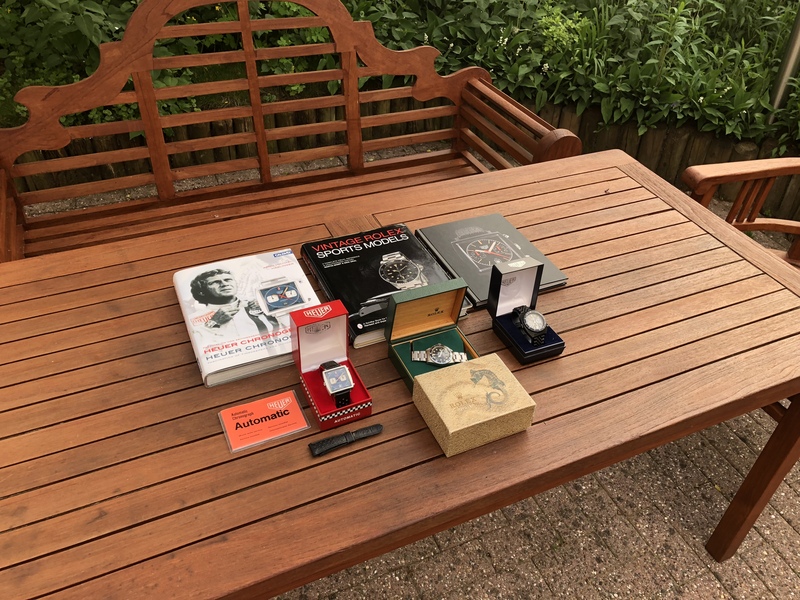 Thinking of parting with 1 of these 3 watches from my collection - all have been with me for years and are located in the western part of Germany (EU). 2. Heuer 113.603 IDF (11063V) = Israelian Defence Forces on correct PVD bracelet with matching blue/silver Heuer box. No SN between the lugs as it should be for an IDF. Military engraving M-219x. Service Papers (Complete Mechanical overhaul). Welcome to your offers - detail pics and infos upon request. Accepting F2F, bankwire and PayPal payments. The books are only for display and not part of a sale.